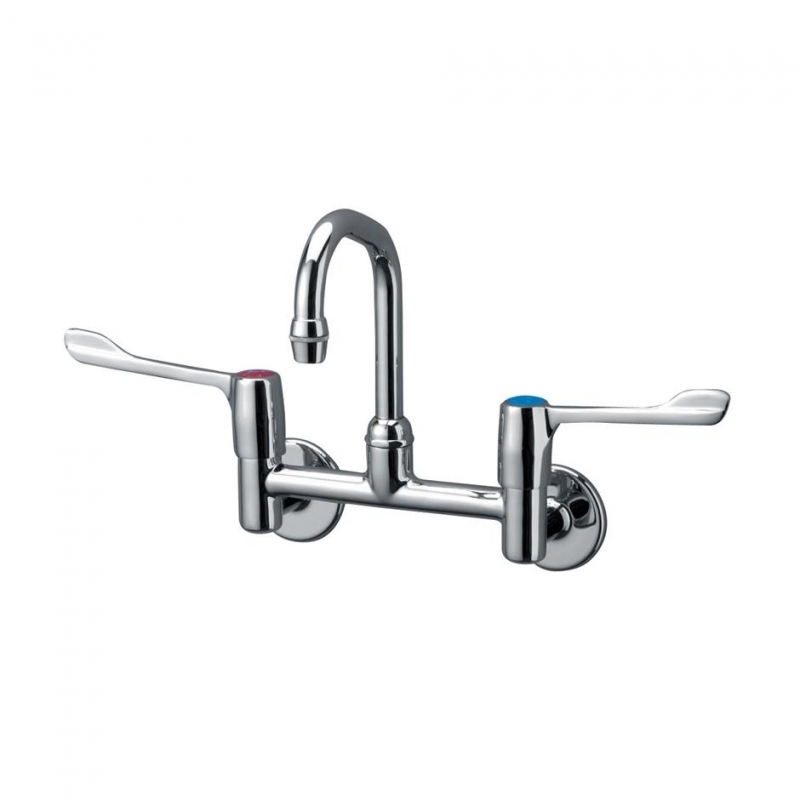 Markwik 1/2in wall mounted mixer with 15cm levers and swivel nozzle. 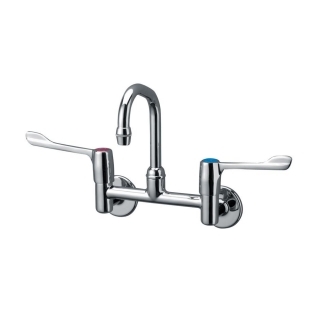 When taps are closed the levers are parallel to the wall. Suitable for low or high pressure systems. Single flow mixers require appropriate back flow prevention device.